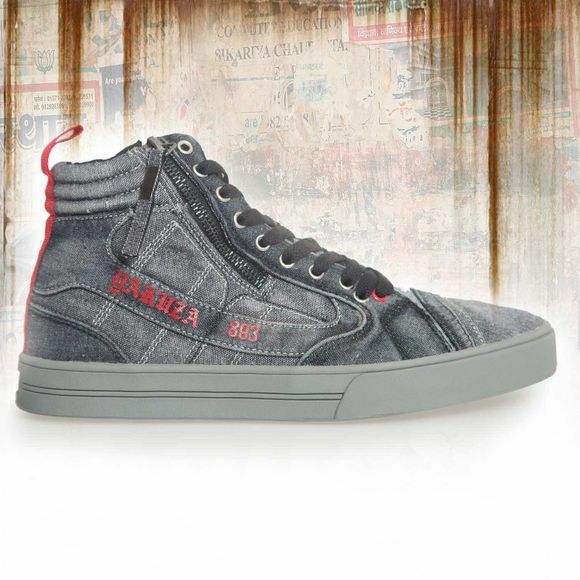 YAKUZA SNEAK HI ESSENTIAL men's sneaker. Crafted from distressed denim, these high-top sneakers are finished with panels. The style features a lace-up closure and zip, with a contrasting stripes and print design. The vulcanised rubber sole has been treated for the look of a regularly worn staple while the toe is detailed with suede for a touch of texture.